In the beginning Abraham looked around his father’s idol store and said “What the heck? How can these be the power behind the universe?” He took up a broom and smashed the idols to smithereens. [i] And then he had to run from his father and his family. And when he wanted to worship the one and only God, he would just start up a conversation or make a sacrificial offering. In the third era, Moses and Aaron made the worship center portable so that it could travel with the Israelites through the desert. They called it the Tent of Meeting or Mishkan. [iii] At its center was the Holy of Holies, which contained the Ten Commandments, the original broken set and the whole complete set, that had been given at Mount Sinai. In the fourth era, the Priests set about unifying worship in a holy building. They created the cult around two magnificent Temples in Jerusalem where it is said that God’s presence dwelt. There was pomp and sacrifices. Three times a year the people would pack up their families and make a pilgrimage to Jerusalem to celebrate the festivals at this centralized shrine. In the fifth era, community centers emerged, small temples, then synagogues. Teachers known as rabbis, began to lead the people. When the Temple was destroyed, these houses of prayer and study became the centers of communal gathering – places of worship, study and celebration. In the sixth era, our grandparents and great-grandparents and great-great grandparents, members of small synagogues in shtetls and shtetlach and cities, moved to suburbia. They needed to find their “people” for they did not live near each other anymore. They reimagined a synagogue center. They invented a place you could drive to filled with Jewish stuff and called it their Temple. Home rituals like the lighting of candles were brought into centralized walls. Jewish study could be traditional or secular. Being Jewish was hanging with Jews as they swum, danced, played basket-ball. You could participate in Mitzvah Days and do communal good. The Brotherhood hosted a Shabbat spaghetti dinner in the building and there was a Sisterhood store to buy all the Jewish items you needed. A one-stop Jewish place of being. In the seventh era… ah, the seventh era… here we are folks. On the 5779 future Frontier, you, me, Har Sinai Congregation. Here we are having to ask an old, important and essential Jewish survival question. The one our people have asked in all these eras: What does our sacred place of the future look like? This is an identical idea to the basic Rosh HaShanah myth, Genesis 1. HaYom Harat Olam: Rosh HaShanah is the anniversary of the world’s birth. At first there was nothing, tohu v’vohu. So, God Invented. Step-by-step, day one, day two, day three, through to – day seven. God created a Universe of Possibility. On Rosh HaShanah we are urged to look at the Invention that is our lives, ask ourselves if we need to reinvent, and then step into the Universe of Possibility that the New Year brings. It is the same with creating Kehillah Kedosha, A holy community of sacred meaning. Our ancestors in different eras Invented what their holy communities looked like, stepped into a Universe of Possibility, and step-by-step creating an infrastructure that would sustain the generations ahead, taking with them from the past what they believed would sustain the future. The reinvention of holy community has always been based on tradition. Abraham, Jacob, the Israelites and the Priests still maintained sacrifices, even if the form and locale differed in each era. The order and names of priestly sacrifices became the underpinning structure of our synagogue prayer services we know today. The one-room synagogue and the house of study of the small contained Jewish communities of the shtetl and city, were absorbed into the large destination Temples built in the suburbs. Like Tevye in “Fiddler on the Roof,” generations before us have keenly felt the pull of “Tradition” while realizing that the world around them was changing, and that they needed to open themselves up to possibilities to sustain Jewish continuity. Certain Har Sinai/MiSinai melodies tug on the heartstrings of our memories. The rhythm of Hebrew, or the poetry of an English translation, or a certain prayer book has a strong and important attachment. A Huppah makes a wedding. A Bat Mitzvah reading Torah and leading most the Saturday morning service is seen as essential. And the demand for our grandson to have a Brit Milah on the eighth day is deep in our religious psyche. The emotional attachment we have for Har Sinai Congregation customs is real. These are powerful pulls to generations of congregants who are invested in these Har Sinai ways of doing Jewish. These traditions are what makes this community ours. If you are entrenched in this Invention, that is now Har Sinai Congregation, you may be asking: “Rabbi, are we really standing on a 5779 Frontier at all?” To you I say, you do not need to look far afield to see that in our generation, and in generations to come, the sense of community is changing. People today live within multiple communities and are juggling complex and diverse demands. The traditional family, friends, interest groups, volunteer committees and synagogue are still part of their lives. Then there are the new communities they are members of. They are constantly on the road between different groups, listening to the podcast or radio show that has also become a community for them too. They email and text and tweet and put a picture on Instagram, and instantaneously find connection to a wider community. How many of us here are on Facebook, and have “friends” whose lives you are part of virtually? How many of us at work no longer travel to meetings but rather use Zoom or Facetime or Skype to conference across cities or the world? How many of us met our partners not by introduction by family or friend, or at a party or a bar, but rather on an on-line dating service? How many of us have attended a rally or meet-up organized out of electronic air? Stores like Apple and Starbucks are built around creating town-square community experiences and JC Penny is just about to experiment with that new format too. [iv] Our children play games with their friends while sitting in different houses and they text each other even when in the same room to communicate. You can even now worship online at Har Sinai Congregation, you just need to tune into our streaming from our webpage. These are all communities we are part of and that we juggle in our lives. Try telling someone who participates in these newer community experiences that this is not a community. Or that what they are participating in does not have meaning. Our technology, our mobility, and our world view has widened the walls of what we understand connection and interconnection to be. And ultimately, my friends, it cannot help but impact what our kehillah kedosha, our holy communities looks like. On the 5779 frontier of the Jewish community we need to ask: How will we structure the community of the future that will expand to encompass these ever-widening walls of connection? We have difficult and emotional questions we need to ask and seek answers for. Do we need a huge campus for the community to gather, or a smaller space that can be ours, or at least our center? Do we need a traditional synagogue, or can our center be a house or a store-front, or a restaurant, or a club? Can it be a shared space with another synagogue or holy community? Do we even need a physical place, or can we be without walls? Can our community be made up of non-traditional meeting places like coffee shops and people’s homes and a museum, a conglomeration of virtual and moveable meeting areas? What sort of programming can connect us into being Jewish and works in the new ways that community is created? What sort of leadership is needed in such a community? How will that leadership meet? What is the membership model and the investment model of this new emerging entity? And it is also important for us to ask: What is essential to bring with us? What is indispensable to our continuity, our chain of tradition? And what are we able to let go of, and what might hinder us from creating the new Har Sinai Congregation future? It is time for us to apply ourselves to thinking about community on the 5779 Frontier. This is the first of a series of sermons this High Holy Days that will do so. I have more questions than answers, and need you, need us, to help find the way forward. It feels like an oh, so risky conversation. It is a hard topic for the builder generation and the legacy generation sitting here that has invested in this special congregation. It is risky and personal for me. It is my job, the Cantor’s job, the way we staff, our employee’s future. It is a hard discussion for the people in the pews that were dragged here by their families, because we are asking them to re-engage, to think about reinventing with us, to create a community that does mean something to them. It is a hard dialogue for those who have chosen not to come and be here, because we are asking them to identify what is wrong with something we hold precious and help us figure out how to make it work. Yes, risk hangs here, right here, right now, in this moment, in this place that we have Invented. Today’s the day I take my stand, the future’s mine to hold. Commitments that I make today are dreams from days of old. I have to make the way for generations come and go. I have to teach them what I’ve learned so they will come to know. And our hopes shall rise up to the sky. We must live for today; we must build for tomorrow. All is Invented, and the future demands that we step into a Universe of Possibility. We are at a transitional moment in history where our conceptions of community are changing. We must manifest sacred community with meaning for now and lay the creative groundwork for the future. 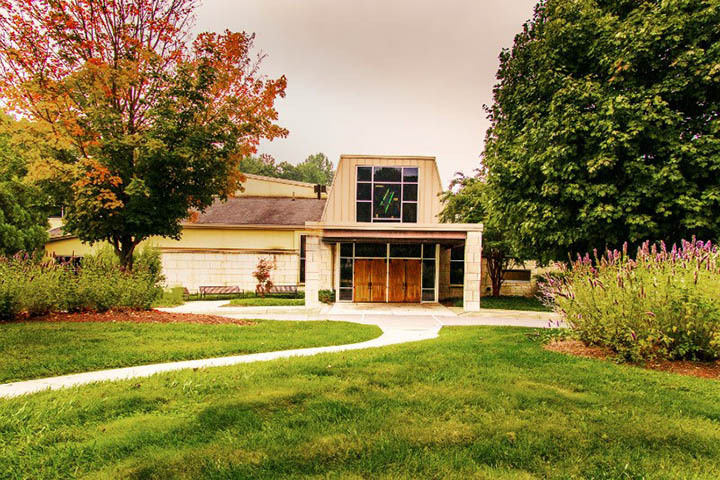 Steeped in the very meaningful history of Har Sinai Congregation of the past, we can re-form the Har Sinai Congregation of the future, step-by-step. Let us step into the world of possibilities.